The partnership allows Benchmark’s powerful estimating application to be accessed easily and securely through a web browser, making it available anywhere, anytime and on any device, across the globe. “We are extremely enthusiastic about this partnership with LoadSpring; it enables us to bring even more significant benefits to our Benchmark Estimating Software users and maintains our position as a leader in our field,” says Rob MacDonald, CEO of Benchmark Estimating Software. Available now, Benchmark’s cloud offering combines an Oracle Enterprise database and other leading edge technology, offering customers outstanding performance, stability, scalability and enhanced multi-user processing capacity. “Using Benchmark in the cloud reduces IT costs, increases mobility and efficiency of your people and ensures your data is automatically backed up using enterprise grade security protocols,” says MacDonald. “Customers don’t need to look after servers or software upgrades and can rest assured with its 99.9% guaranteed availability,” he continued. LoadSpring brings over 18 years of experience as a leading project management cloud solution provider with over 200 applications under management including many well known systems such as Primavera. LoadSpring supports more than 4,000 corporate clients and over 100,000 users worldwide. “LoadSpring is excited to welcome Benchmark customers to access the additional benefits offered through the LoadSpring Cloud Portal. This partnership continues to support LoadSpring’s global expansion all while increasing the application offering we bring to our customer base,” says Dean Edmundson, Chief Strategy Officer of LoadSpring. Existing Benchmark customers can migrate to the cloud and this exciting new offering is also now available for all new clients. For further information on Benchmark in the cloud please email sales@benchmarkestimating.com. 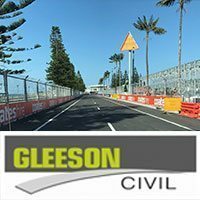 Founded in 1996 by Robert MacDonald, Benchmark Estimating Software fast filled a need in the Australian Civil Contracting market for a simple software estimating system. The company’s mission is to help organisations improve their estimating, and the integration of estimating with related business processes; for private enterprise this helps improve profit and market share; public authorities can deliver more accurate budgets and streamline project delivery. Read more about the benefits of cloud computing here. Explore Benchmark’s expanding list of technology partners.